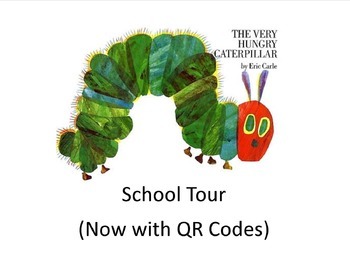 This is an updated version of my original Very Hungry Caterpillar School Tour that you can find in my store. Updates: More gender neutral so it is adaptable to Males or Females. More adaptable to your school with location words removed. New: QR Codes for the answers to the next location, great for use of Technology in the classroom. This is a great way to introduce your students to your school and places around the school.